Directed Edge - Blog - What programming languages do our customers use? What programming languages do our customers use? 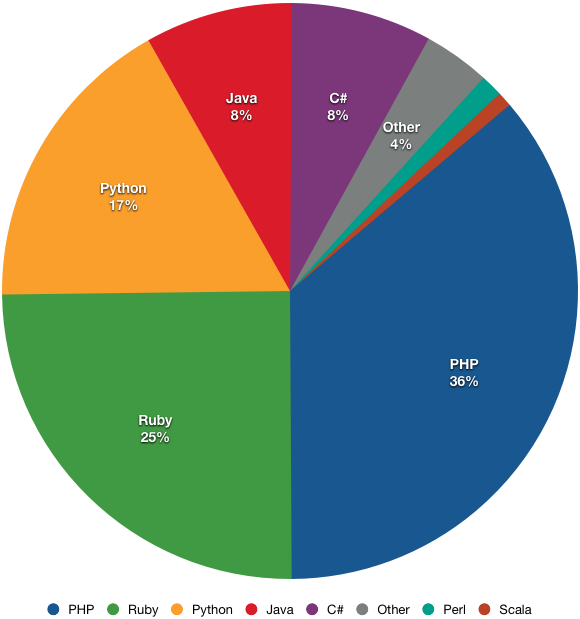 PHP, for better or worse, still dominates web development. Python’s much closer to Ruby in the usage we see, despite making less noise. Scala, despite being the new hotness has very little actual uptake.